The rumors of the death of storytelling within the digital advertising world are exaggerated. Not only is storytelling not dead, it’s more important than ever, despite the exhortations of a few contrarians. Broader saturation of ads across the web and a continuous increase in ad blindness (not to mention consumer antagonism to those ads) mean that digital advertisers must look for effective ways to bridge the increasing divide between their ads and their prospective customers. Storytelling is one strategy that helps you do just that. What Do We Mean By “Storytelling” in Ads? First, let’s clear up some confusion. Storytelling in advertising doesn’t necessarily mean a mini-movie with high production values. Those projects can be highly rewarding for the companies with the budgets to support the process adequately, but they’re just one form of digital ad storytelling. Stories can also be short, simple and selective in the telling. A thirty-second video may be more than enough to tell such a tale and captivate the viewer. The storytelling naysayers sometimes make it seem as if the only stories worth telling are the long, involved movie-like productions, the ones with high price tags and low conversion rates, comparatively speaking. That isn’t the case. In fact, some of the most effective story-based ads are simple visuals with a bit of copy-not video at all. If storytelling in advertising doesn’t necessarily mean remaking “Raiders of the Lost Ark” or “Casablanca,” then what exactly goes into a story-based ad? The human race has long been drawn to the power of a great story. From early hunter-gatherer tribes huddling around a fire to the ancient Greeks’ love of epic poetry and theater to the latest blockbuster at the multiplex, we are hardwired to respond to a great narrative that draws us in and makes us feel. Strong stories typically contain a beginning point and an end. Somewhere close before the end, there is a shift in dramatic action that we can call the “climax” of the story. The climax is the highpoint, emotionally speaking, and what happens after that point is the resolution of the action. An effective story can be told in six minutes or in six words when the storyteller is skilled. Your story should also evoke or trigger some kind of emotional reaction or connection. This emotion can be awe, sympathy, pathos, laughter, or some other feeling, but positive emotions tend to be more effective on ad viewers than negative ones. The emotional trigger serves to bring the viewer into the story, in a metaphorical sense, and help the viewer identify with one or more characters. The best ads start off with a dramatic hook that grips viewers immediately, then move the viewer through a progression of feelings in a strategic, controlled way that strengthens the connection with your brand. Good stories should also feel genuine and authentic for the brand. If your brand is associated with discounted prices, a story that unironically aims for an upper-class high-brow image will come across as cynical and insincere. On the other hand, if your brand typically conveys an upper-crust image, a story that attempts to speak to families living paycheck to paycheck will probably land with a thud. The key as always is to work within your brand and communicate your marketing messages authentically. Stories make good marketing great, and all marketing more effective. To understand why this is so, it’s important to remember that in order for marketing to be effective, it must establish a connection with the intended audience. Preferably, that connection should be an emotional one. Emotions are what sell, according to multiple studies. In fact, emotional responses outweigh the ad’s content in terms of their impact on purchasing decisions. The beauty of storytelling in advertising, no matter what medium or format you’re working with, is that the viewer experiences a story as if it were an actual experience. It’s far removed from the pure logic of data and features. When we encounter a story, whether it’s a movie or an online advertisement, we feel things. Those generated emotions are much more effective at persuading us to make a decision about buying a product than pure logic ever can be. This has been supported by multiple studies in consumer psychology and neuroscience. Functional magnetic resonate imaging (fMRI) establishes that we rely more on our feelings and past experience to analyze and evaluate whether we want to buy from a specific brand. Human beings respond to stories on an emotional level. Your targeted audience wants you to make your ad feel more like a story and less like a traditional ad. In fact, 92 percent of consumers say they want brands to make more story-based ads. Stories are also more effective in communicating information. Cognitive psychologist Jerome Bruner believes consumers will be 22 times likelier to remember some piece of information or data if it’s been relayed to them in story format. 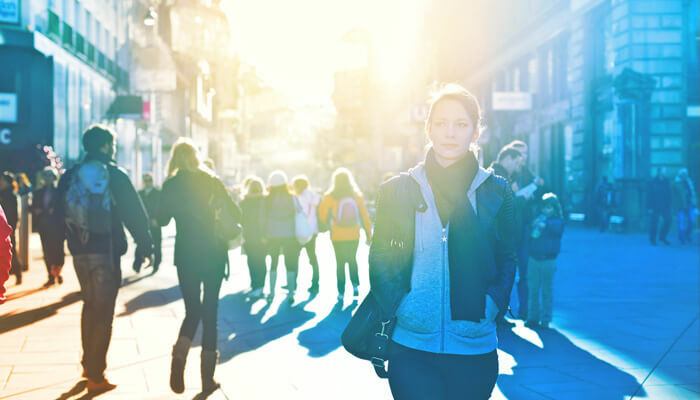 Brands that dominate their particular markets do one thing exceptionally well: they create and maintain a strong sense of emotional connection with their prospects and customers. Stories help successful brands make and strengthen that bond. Pick stories that can be framed within a larger context that’s informative and educational; 68 percent of consumers prefer ads that teach them something over those that merely entertain or inspire. So stories that prompt laughter or awe might produce a strong emotional reaction, but if they’re not also conveying important information that helps your audience, you won’t have an effective ad campaign based on those stories. Don’t be afraid to outsource some or all of your creative content development, especially for writing and design-related tasks. Storytelling in both written and visual formats is a specialized skill. This isn’t the place to cut corners in your ad campaigns. One stunning, beautifully rendered ad campaign with a narrow and targeted distribution plan can outperform a less skillfully executed campaign with wider distribution. Besides, when you make the creative content of your ad available in multiple media formats and ensure the ad is highly shareable, your paid distribution channels are no longer the boundaries of the ad’s useful life. It’s crucial today to ensure your stories are being told seamlessly on all channels. That’s because consumers typically use two or three synced devices and multiple platforms through which they consume content. Explore ways in which you can utilize your brand’s channels in a fresh way that’s audience-inclusive. For example, let your audience vote on specific outcomes in a brand-related ad story. Will Alice say yes to Bob’s proposal-and which ring will they pick? Does newly-minted graduate Carol follow her heart to the West Coast or stay in New York City to focus on her career-and which piece of furniture will she choose? Digital advertisers today have a plethora of outlets and platforms through which they communicate with their audience, so why not put the web to good use and let your audience communicate back to you? The best story-based ads can be published in a number of different formats, from video to written copy plus images to podcasts. Which you choose will depend on who your targeted customer is, where that person already spends time and in what context that person will be most responsive to your brand message. Finally, look for ways to continue the story in multiple formats for broader exposure. For example, if your primary focus is a Facebook text and image ad campaign, it’s not totally cost-prohibitive to create a short video or audio version to tell the next chapter in that story. As always, video continues to be more captivating online than other formats. A skilled and experienced video marketer can work within budgetary constraints to produce short but stunning ads that drive both traffic and conversions. 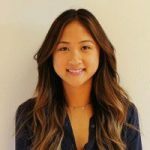 Kim M. Pham is a professional Digital Media Strategist based out of Los Angeles, CA currently working at DASH TWO. Kim has worked closely with clients primarily in the music space on campaigns for some of the world’s biggest country artists, including George Strait, Luke Bryan and Shania Twain. Being on the agency side, Kim works with clients to develop media plans that reach intended audiences and support their respective business objectives. She is responsible for the development and management of digital strategy for client brands.